Members of our group will be doing exhibition walk-throughs, demonstrations and artist's talks from noon to 4 p.m. on Feb. 6 and 7 and 20 and 21. Nancy, Janet and Grace have work in this exhibition. 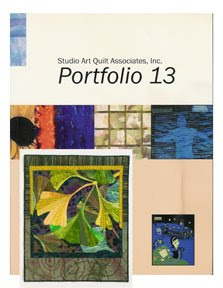 Nancy’s “Southern Hospitality,” and Susan’s “Lepidoptera” and “Coleus” have been juried into this exhibition. 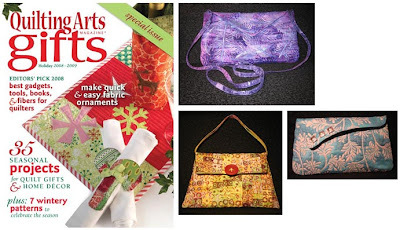 The work of several Fiber Art Options members has been published in nationally and internationally circulated magazines, books and other publications. 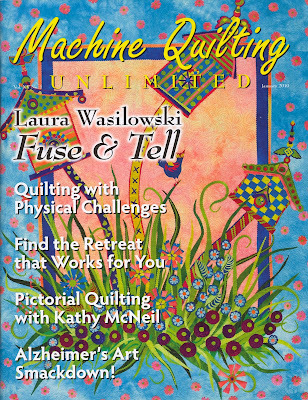 Susan is writing a series of articles about thread sketching for Quilting Arts magazine. 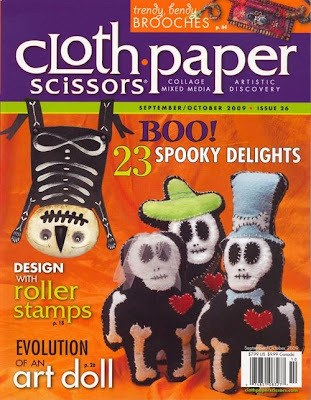 The first is in the February/March 2010 issue. 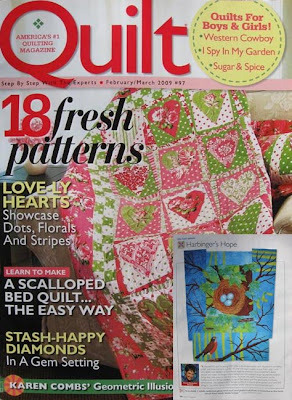 Susan’s quilt Pink Petal Party is included in Sarah Ann Smith’s article “Depth and Dimension through Coutours, Rhythm and Repetition” in the January 2010 issue of Machine Quilting Unlimited. 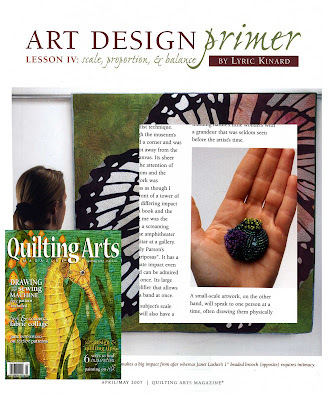 Janet describes how to create needle-felted foundations for stitch in the December 2009/January 2010 issue of Quilting Arts magazine. 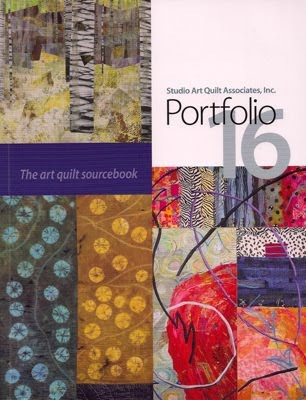 Nancy, Janet and Susan have pieces in Studio Art Quilt Associate’s Portfolio 16. 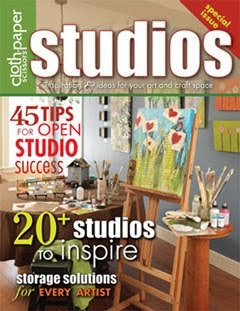 Susan’s studio is featured in the fall 2009 issue of Cloth Paper Scissors Studios magazine. 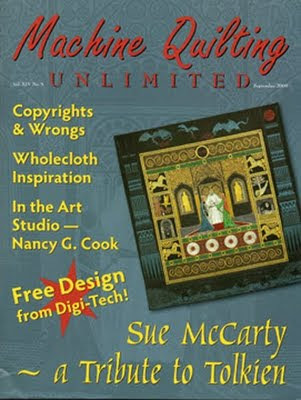 Nancy has a three-page article about her quilting process in Machine Quilting Unlimited magazine. 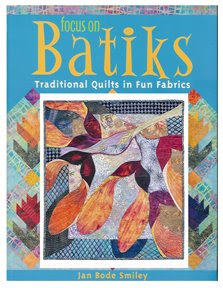 Directions for making Janet’s soy wax batik scarves are including in Quilting Arts Gifts 2009. 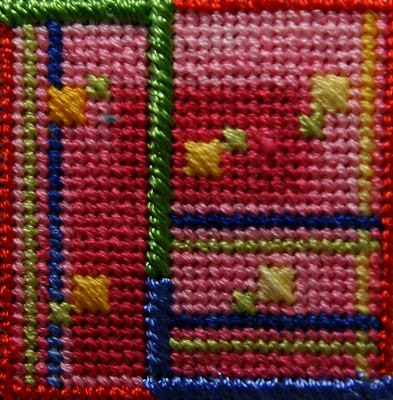 Susan’s door organizer is one of the projects featured in International Quilt Festival Quilt Scene magazine, available fall 2009. 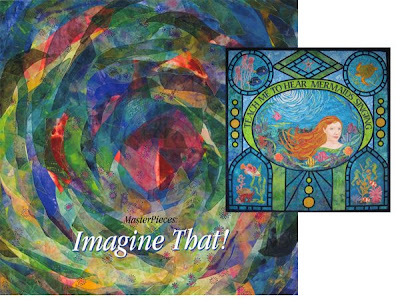 Janet teaches you how to make an image using a collagraph plate in her “Spirit Shrine” project featured in the September/October 2009 issue of Cloth Paper Scissors. 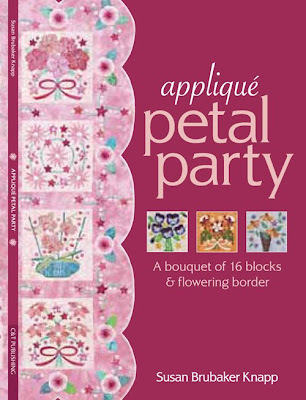 Susan’s first title, published through C&T Publishing, is Appliqué Petal Party: A bouquet of 16 blocks & flowering border. 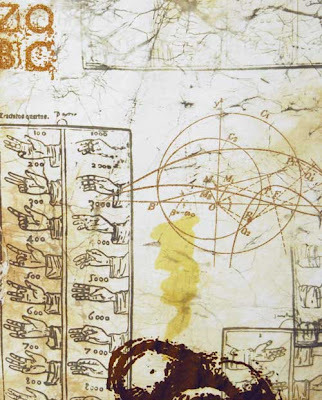 It will be released in October 2009. 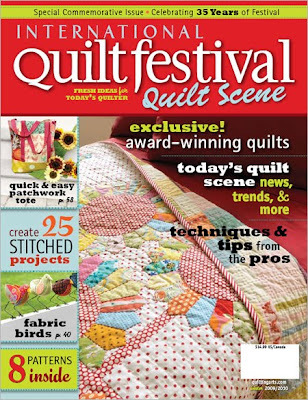 Included is a booklet with needleturn appliqué basics and step-by-step instructions for a 73" square quilt. 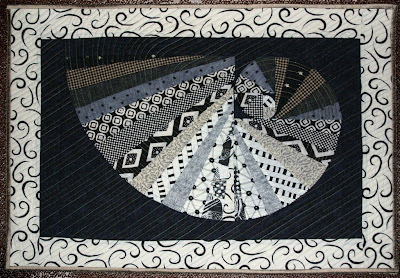 Full-size patterns for all the 12-1/2" blocks and the border are included on separate pattern sheets. 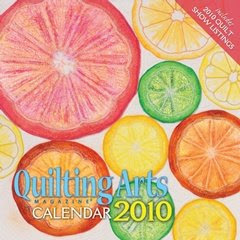 Susan’s “Citrus Slices” graces the cover of the 2010 Quilting Arts Calendar. 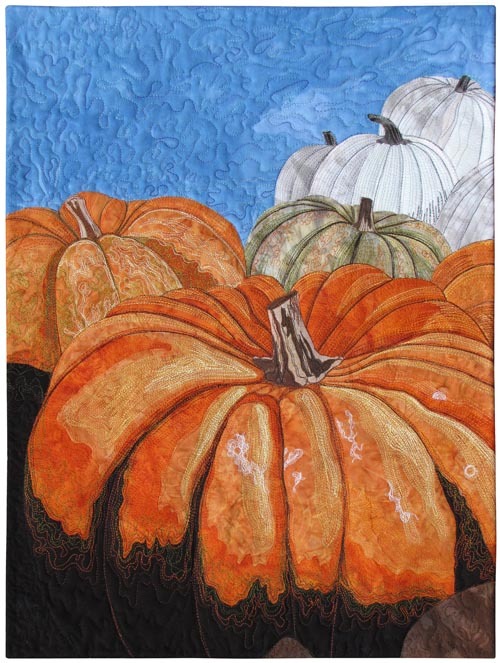 The pumpkin quilt shown for the month of October is hers, too! 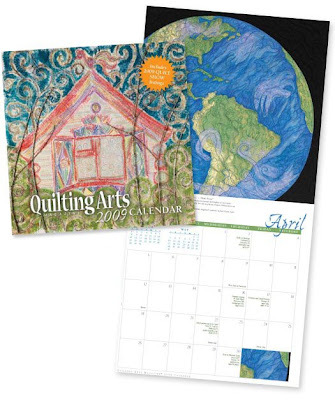 Susan’s “Home Planet” is featured in the month of April in the 2009 Quilting Arts Calendar. 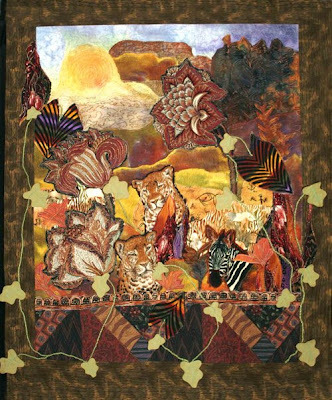 Susan’s “Harbinger’s Hope” was featured in the February/March 2009 issue of Quilt magazine. 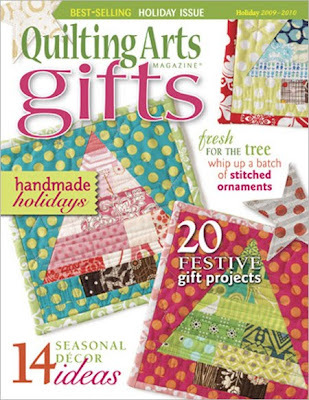 Susan’s evening bags were featured in Quilting Arts Gifts 2008 issue. 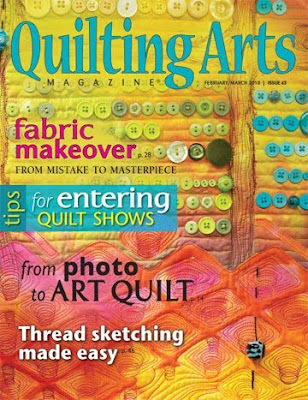 Janet’s brooch was featured in the April/May 2007 issue of Quilting Arts magazine. 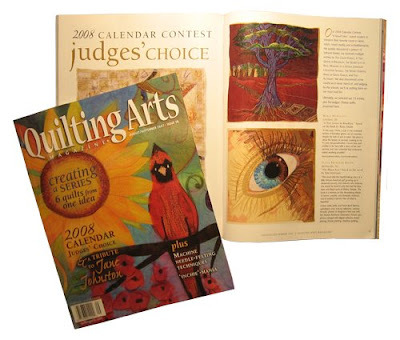 Susan’s “The Bluest Eye” was featured in the August/September 2007 issue of Quilting Arts magazine. 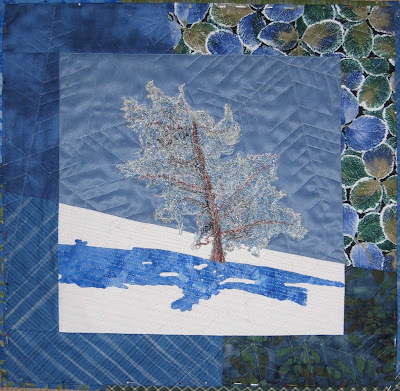 Nancy’s “Survivor: Ginkgo Biloba” is included in Studio Art Quilt Associates’ Portfolio 13 in 2006. 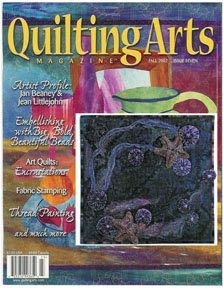 Nancy’s “Noctural Tidepool” was published in an article on PAQA South exhibition, “Encrustations,” in the fall 2002 issue of Quilting Arts magazine. 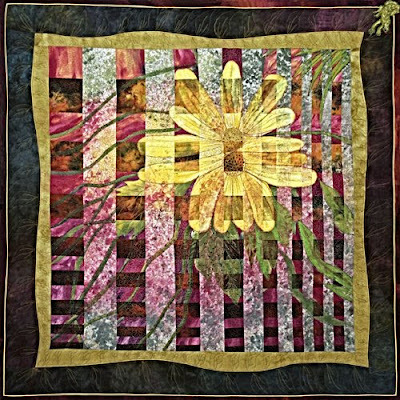 Nancy’s “Seeds of Spring” was featured in Focus on Batiks: Traditional Quilts in Fun Fabrics by Jan Bode Smiley. 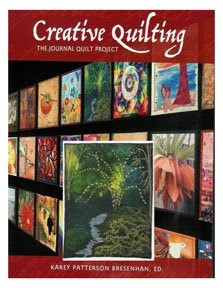 Nancy’s work was featured on the cover of Creative Quilting: The Journal Quilt Project in 2006. P.J. Howard’s key art message is “Have Fun Being Yourself”. The goal of her pieces is to bring smiles - to her as she happily plays during the process and to others as they view and use the work. Even the smiles which mask the thought "what was she thinking?!" count as success! 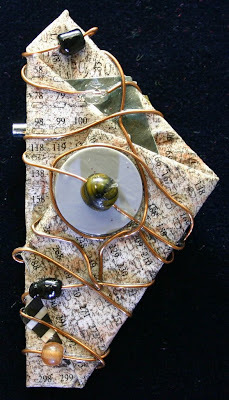 Like her inspiring and frugal quilting ancestors, she often uses fabric scraps or recycled clothing, adding copper wire leftovers from residential electrical work and business reply mail cards from magazines. Her fiber work also incorporates art she creates by digitally manipulating nature photos she takes somewhat randomly. 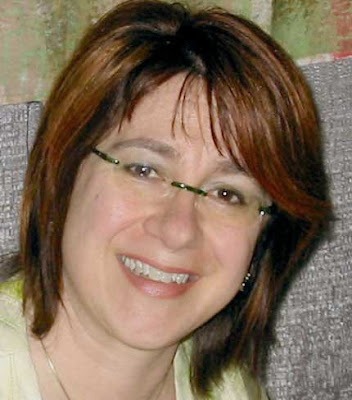 Generally her pieces are improvisational -- in rebellion to the planning and forecasting that marked her 30+ years in translating business strategy into data management systems – and small – confined by the 8 ½ x 11 formats from those same 30 years! 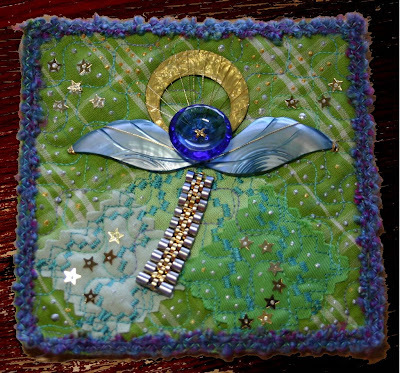 Snowcat Survivor (2007) 20" x 20"
Business reply mail decoupage pin (2008) 2" x 4"
Finonacci Spiral 1 (2007) 18" x 24"
Blue Green Angel (2008) 5" x 5"
Needlepoint Improv – Blue (2008) 1-1/2" x 2-1/2"
Needlepoint Improv – Yellow (2008) 2" x 2"
Needlepoint Improv – Pink (2008) 2" x 2"
After many years of making clothing and home accessories, Linda’s quilting history began about twenty years ago with a baby quilt for a niece and rapidly progressed to classes in traditional quilt making and then to art quilts and fabric manipulation. 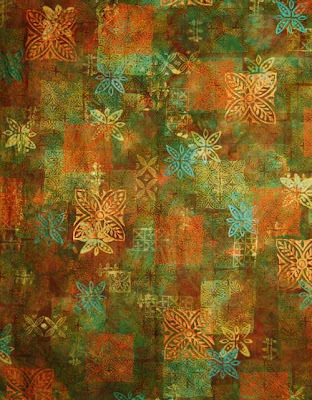 Painting, printing and dyeing fabrics for her quilts are her latest passion. This passion is part of her daily life and is her way of expressing feelings about life, politics and ecology. Linda has received awards and many blue ribbons from quilt and art shows, including Pennsylvania National Quilt Extravaganza 2007, where she received an award for Best Use of Color in the innovative category. 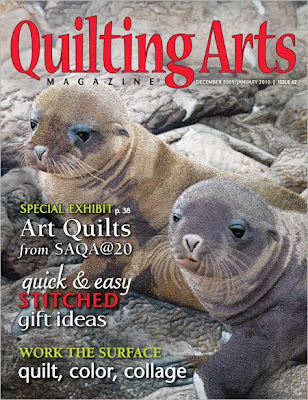 She is a member of SAQA and several local quilting and art associations. Losing Serengeti (2007) 30" x 37-1/2"
Pottery I (2007) 22-1/2" x 30-1/2"
Safe Harbor (2008) 40" x 38"
Where Have All the Green Trees Gone? 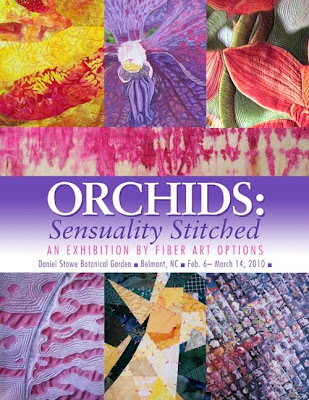 (2006) 50" x 58"
Whirlwinds (2008) 17" x 38-1/2"
Fractured Flowers (2006) 40" x 40"
Janet A. Lasher has been working in textile and fiber related art forms since she was old enough to sit in front of a sewing machine. 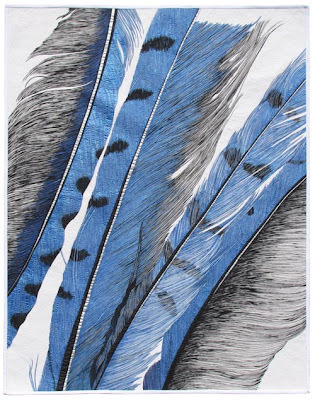 In 2004, she left her corporate position as a project manager and systems analyst to relocate in North Carolina to work in fiber and paper art forms. 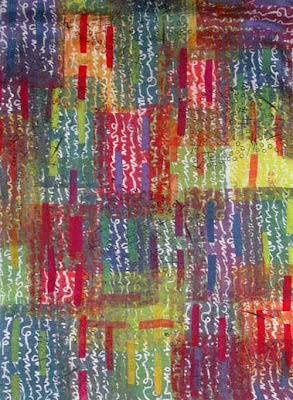 Her work is found in private and corporate collections including the Bernina International Corporation in Switzerland. 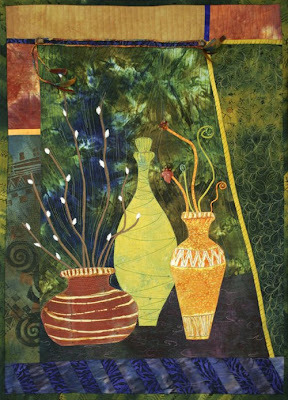 She works in her studio; teaches embellishment and printmaking, mixed media, and surface design. She lives with her husband and teenage son in the historic district of Dilworth in Charlotte, North Carolina. 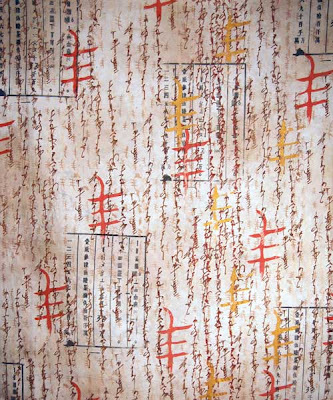 Total (2008) 61" x 51"
Multicolor Screen Print (2005) 54" x 43"
Bambara No. 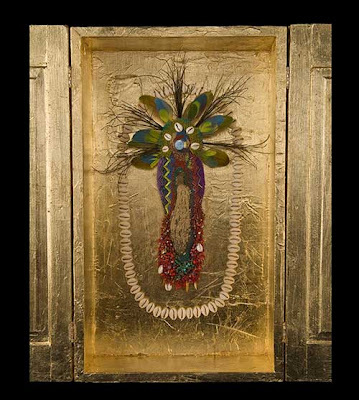 6 – Green Fluri (2008) 61 x 40"
Bambara No. 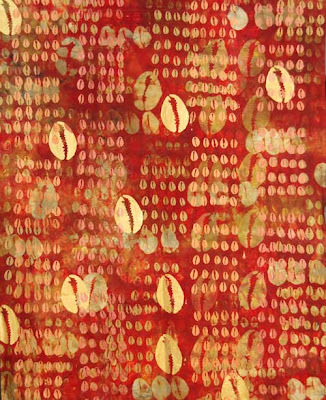 3 – Cowry (2008) 61" x 40"
Susan is a quilt artist, quilt pattern designer and teacher. 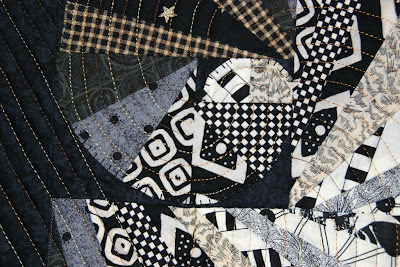 She loves traditional hand quilting and needleturn appliqué, and also embraces innovative materials and techniques. 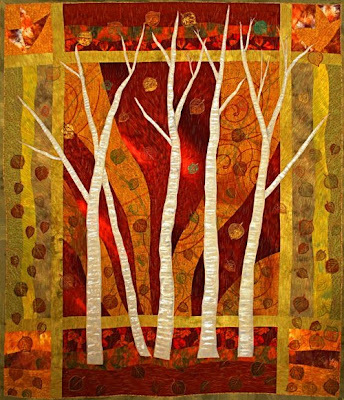 She started making “art quilts” — works of art executed in fabrics and fibers — in 2005. 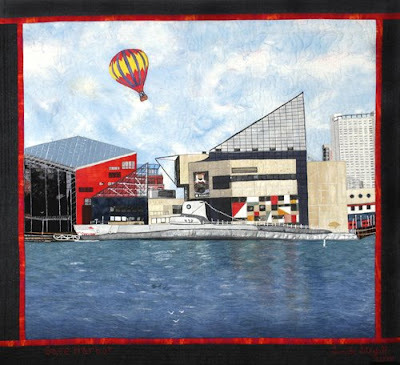 Susan’s quilts have won national as well as local awards, and have been exhibited at national and international venues. 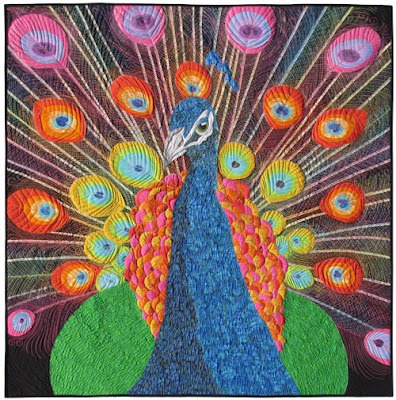 “Creating fiber art is my consuming passion,” Susan says. 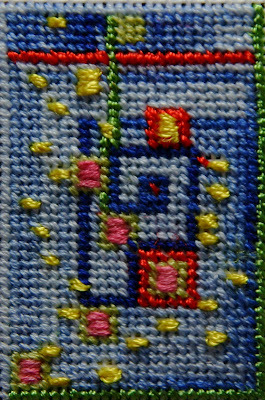 “I am an artist who works in fabric and thread. 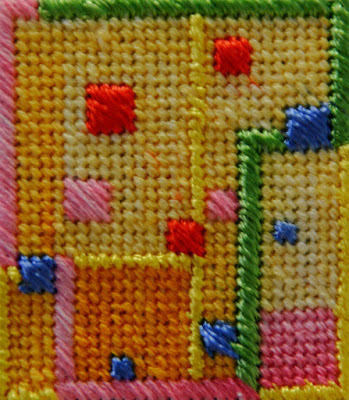 I find great joy in creating works that draw people closer and invite them to savor color and texture. All my art is a deep expression of my values and a succinct statement about my hopes for and concerns about our world. 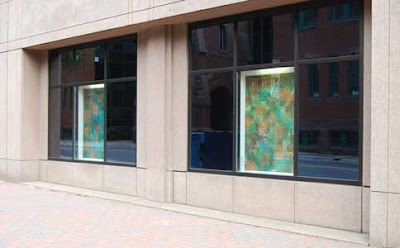 I See the Moon (2012) 24x60"
Hope is the Thing (2011) 36x48"